Planning a sports-themed party? 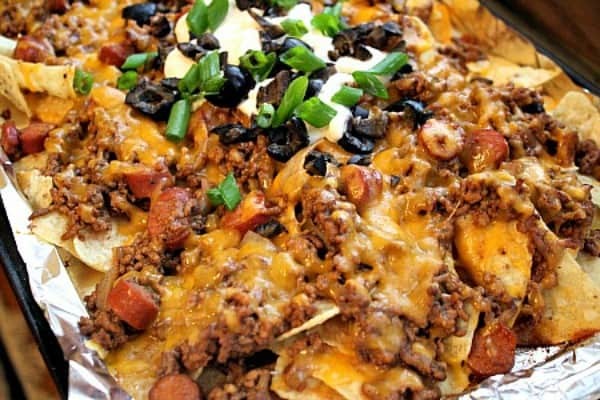 We’ve rounded up a delicious collection of sports party food that are sure to be crowd-pleasers. Whether you’re planning a party for children or a party with your best friends, there’s something here for everyone. 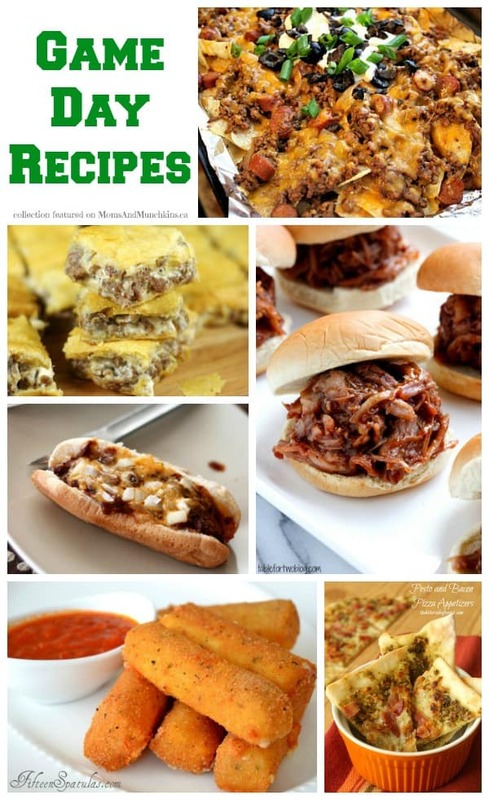 This is a collection of delicious recipes from other bloggers and masters in the kitchen. To view the full recipe for any of these, simply click on the title of the recipe and it will open up in a new window for you. Anytime I order an appetizer platter at a restaurant, I’m always grabbing for the mozzarella sticks first. 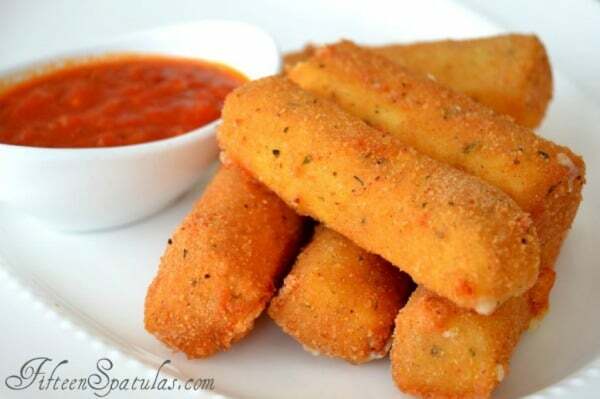 These Homemade Mozzarella Sticks (pictured above) by Fifteen Spatulas would not last long in my house! This Turkey Taco Dip is one of our party favorites! 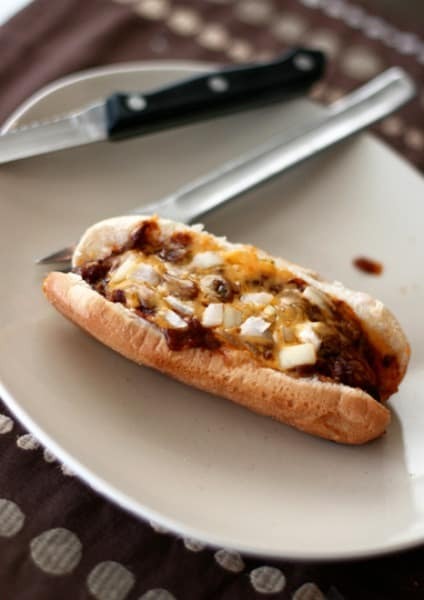 A sports party wouldn’t be complete without hot dogs! 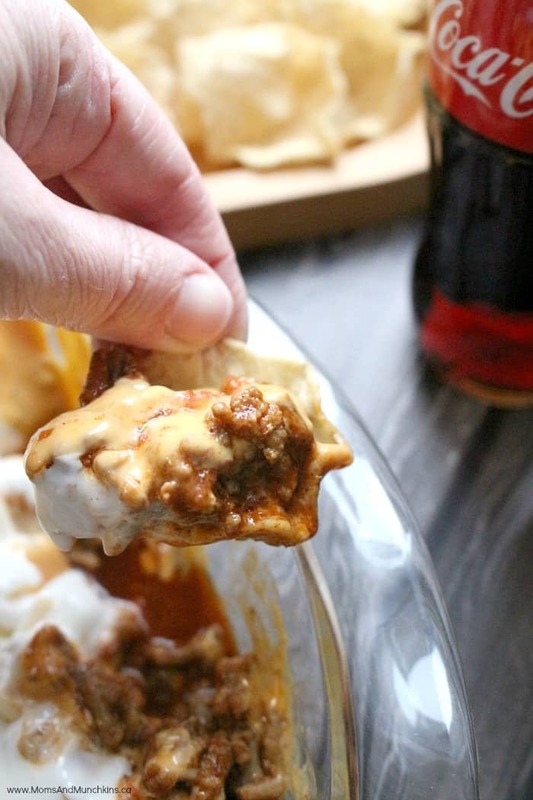 Forget the plain mustard-topped hot dogs and serve up a tray of these Chili Dog Nachos featured on I Was Born To Cook instead. I’ve always loved barbequed hot dogs but I’ve never tried cooking them in the oven. These Oven Hot Dogs by Alyssa B. Young look so delicious! It looks like I may have a new favorite way of cooking hot dogs. 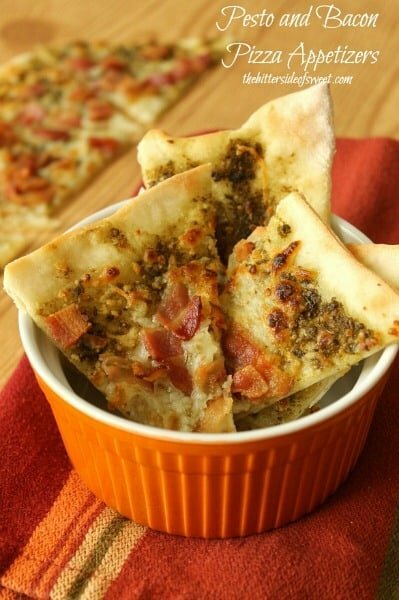 These Pesto and Bacon Pizza Appetizers by The BitterSide of Sweet look like they’d be a hit with the older crowd. I don’t know many men that could turn down an appetizer with “bacon” in the title. 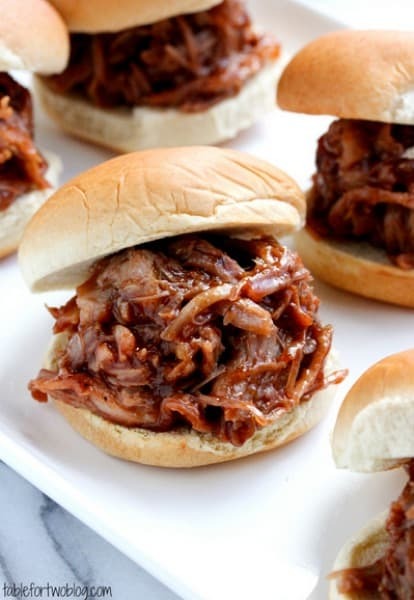 These Mini BBQ Pork Sliders by Table For Two look both delicious and sloppy! You’ll want to put out some extra napkins for these because I have a feeling that these will be gobbled up quickly. 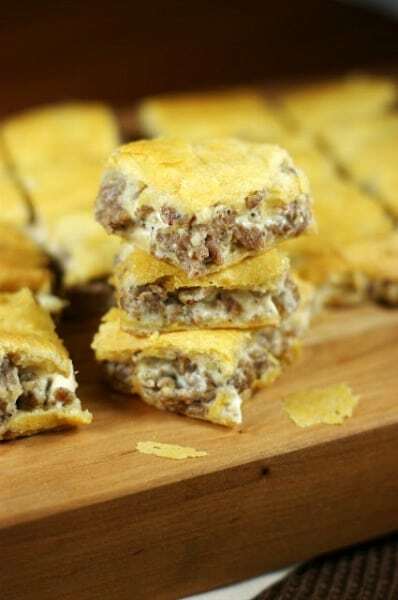 These Crescent Sausage Bites by The Kitchen Is My Playground only require three ingredients. You can’t beat quick and delicious! For more ideas for your next sports party, visit our Party Theme page. For more delicious appetizer ideas, visit our Party Food & Family Meals page. We’re always adding new ideas. Never miss a delicious update by following up on Facebook, Twitter, Pinterest, Google + and Bloglovin’.